Wu Xing and the five phases describe the interrelationships of the cosmic cycles as well as the interrelationship of the organ systems in the human body. Wu Xing, or the five-phase system, describes seasonal cycles of interaction between Yin and Yang, the dualistic components of Universal Qi. Originally, the term Yin referred to the shady side of the hill, and Yang to the sunlit portion—so it’s clear to see that Yin and Yang were understood pragmatically, in terms of observation. We can say the same about the developments of astronomy—born of observation, tracking, and measurement. Nevertheless, there are obvious differences in the Eastern and Western traditions of astrology. In fact, each can be understood best in their own context, as they evolved in different geographic regions. That said, there IS a correspondence between the Chinese 12-animal astrological system, and the approximate movements of Jupiter through the Western Zodiacal signs. Jupiter changes approximately one Western zodiacal sign per year. It should be noted that though this relationship is not exact—Jupiter’s movements and the Chinese zodiacal movements—it certainly is open to further inquiry. Wood/Spring: a period of growth, which generates abundant wood and vitality. In Traditional Chinese medicine, the generative interaction of wood is that it feeds fire. This relates to the liver and the gall bladder, areas were energy in the form of anger can stagnate or go rancid. Wood supporting Fire has capacity to generate in the tongue and blood vessels (we can see how this may correspond to outbursts of anger). Nevertheless, the interest for the fire element is Joy—and we can learn from laughing and alleviating in this way. 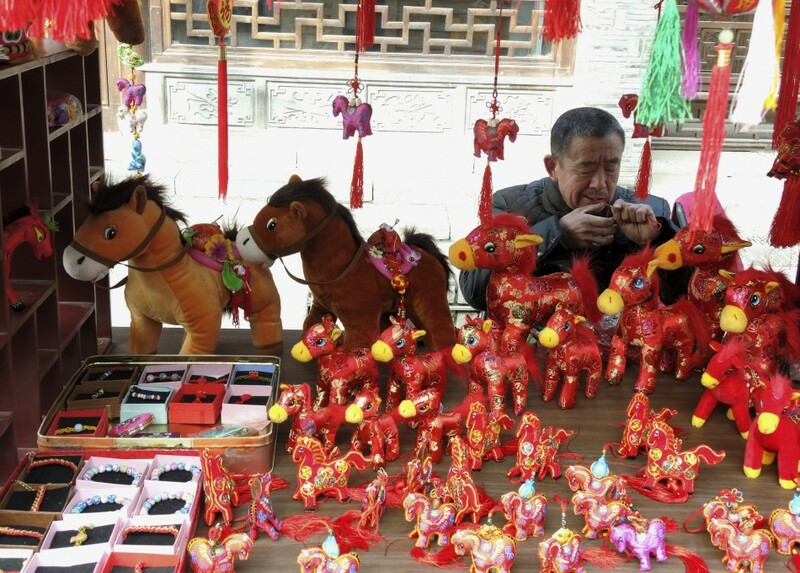 The horse is the seventh sign of the lunar calendar. Lunar New Year, Spring Festival, Gua Nian, Chinese New Year!